amazing 2nd blazer, wow, it's perfect. I'm in love with 2,6 and 7. I'm a blazer fanatic! thanks for this post! gonna run to top shop! visit me soon. love the topshop ones, especially the brown ish one. 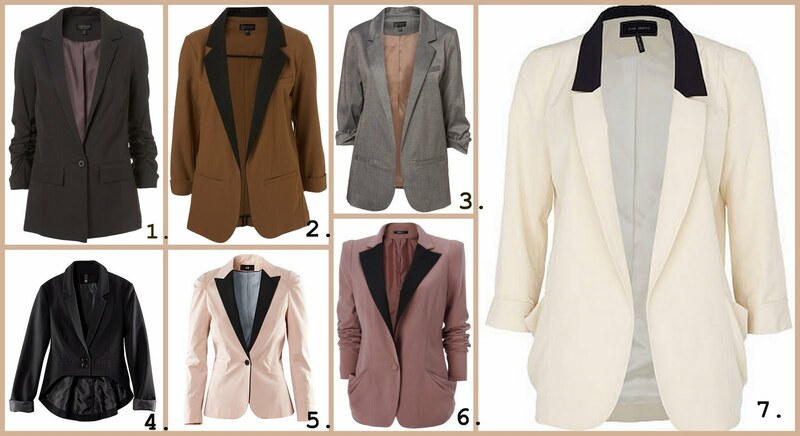 blazer are perfect pieces !!!!!! the second one is defitively my fav, but in a perfect world, i'd like to have them all!